The full 10 song Location 13 collection as well as the 13 song Deluxe version, featuring "Letter to Lady J," is out now on Spotify, Apple Music, Amazon, Bandcamp, YouTube and Soundcloud! After piecing together this new release all summer you can now listen to it from start to finish. We're psyched to be sharing these new stories and hope you enjoy. In addition, Location 13 vinyl is out now! You can get a standard black LP version or a limited edition deluxe farmhouse red vinyl LP version. The deluxe LPs are limited to 1,000 units and each includes a 7" with two additional songs and a 24" x 24" lyrics poster with all of the unique single cover art. For those of you who haven't been following along, Location 13 is a collection of 10 songs written and recorded during the America, Location 12 sessions and this past winter. Think of them as additional stories. 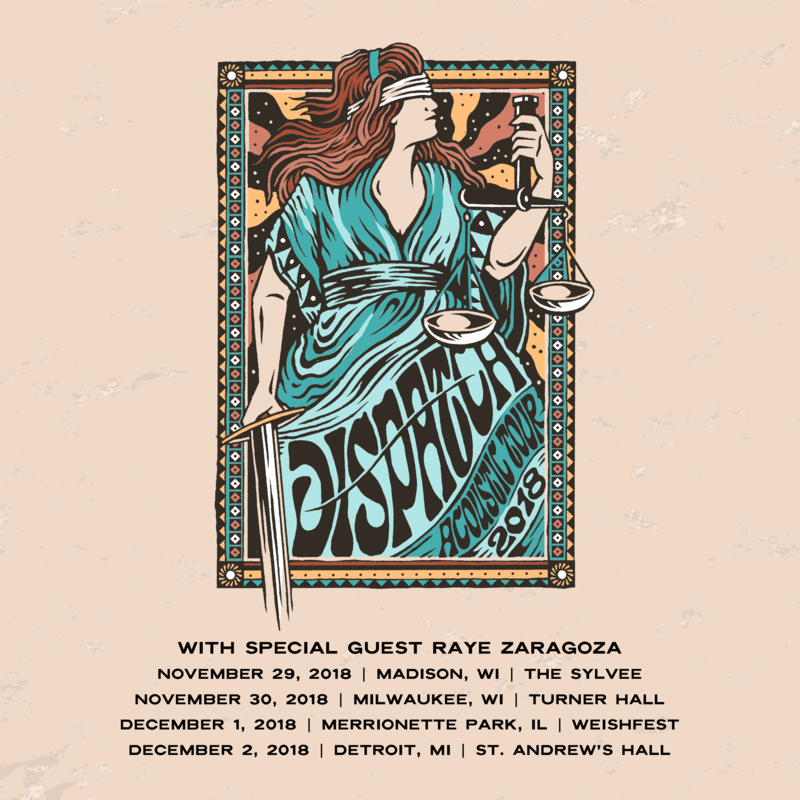 Our summer tour is almost over, but we're going back out on the road this fall for a few completely acoustic shows with our friend Raye Zaragoza, who joined us this summer, with stops in Madison and Milwaukee, WI, WeishFest in Chicago, and Detroit. These are our first acoustic stops in these places and we're so excited to bring back last winter's show style for those of you that haven't gotten to see it yet. Grab tickets early now with presale code: LOCATION13. See you out there! New Song "Letter to Lady J"
"Letter to Lady J" was written in the name of Alton Sterling, Philando Castile, Tamir Rice, Trayvon Martin, Michael Brown, Freddie Gray, Eric Garner, Walter Scott, and all the other innocent people killed by overly violent law enforcement. The song starts off with the idea of a friend writing a letter to Lady Justice, asking her to please come out from her isolation and out into the streets where she is so badly needed. Not only are people dying, but there is largely no accountability for this lethal action taken by the police. It makes us wonder, how far have we really come since the days of Dr. King’s marches when there is still racial profiling of this magnitude that results in the death of an innocent man or woman. It keeps happening. We've got to stand up, nonviolently come together, take pride in our differences, revel in our connection to each other, and fight for civil rights, for love, and justice for all.